Marc R. Labbe, MD, is an orthopedic surgeon at Houston Methodist The Woodlands Hospital. He is fellowship trained in orthopedic and sports medicine. Dr. Labbe strives to provide progressive, individualized, nonsurgical and surgical care for a variety of sports medicine and orthopedic problems. 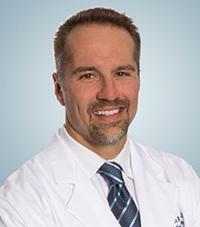 As an orthopedic surgeon, Dr. Labbe's specialties include rotator cuffs, shoulder replacements, shoulder arthroscopy, shoulder instability, meniscus surgery, elbow arthroscopy, ligament reconstruction, and ACL reconstruction, as well as sports medicine. He is certified by the American Board of Orthopaedic Surgery and has a Certificate of Added Qualification in Sports Medicine. Dr. Labbe received his medical degree from Baylor College of Medicine, where he completed his residency. He completed his fellowship at Mississippi Sports Medicine and Orthopedic Center. Dr. Labbe provides patients in The Woodlands and surrounding areas with specialized care in a wide range of surgical and nonsurgical needs.